We can’t take our eyes off Shah Rukh Khan and Gauri Khan’s beautiful daughter Suhana Khan. The star kid, who’s celebrating her 18th birthday today, looks drop-dead-gorgeous in this recent picture shared by mom Gauri. 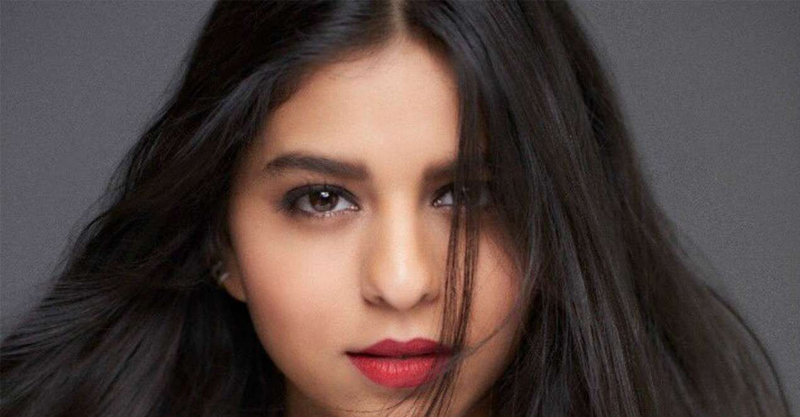 Suhana will turn 18 on this May 22 and it looks only like yesterday when we would spot her, accompanying dad Shah Rukh for one of the IPL matches. Suhana looks nothing less than a diva in the picture shared by Gauri. As she turns a year oldertoday, we wonder if the parents have planned some sort of surprise for her. A big birthday bash or a special gift may be? After all, one doesn’t turn 18 on every birthday, right? Apart from being daddy’s favourite girl and mommy’s adorable daughter, Suhana is also a favourite among netizens on social media. Though, several accounts on Twitter can be found in her name, but Shah Rukh has previously clarified in an interview that her daughter is not on any social media platform. The star kid does aim to enter Bollywood but daddy SRK has given strict instructions that that can happen only after she completes her graduation. We’ve seen glimpses of Suhana’s acting chops in a few videos from her school play and need we say, she left everyone spellbound by her performance. Suhana is the only daughter and the middle child of the couple. She also has an elder brother, Aryan and a younger brother, AbRam.